To have a Cat Friendly Clinic it is important that all clinical staff maintain and update their knowledge on clinical matters. This is why a continuing professional development (CPD) requirement is made in the Cat Friendly Clinic criteria. For this, we have adopted the recommendations of the Royal College of Veterinary Surgeons in the UK (for both veterinarians and veterinary nurses/technicians). These requirements are for total CPD each year, not just for feline-related CPD (although we would expect the latter to reflect the feline caseload of the clinic). Up to 10 hours (vets) and 5 hours (nurses/techs) can be ‘personal study’, which includes reading relevant journals, online articles and books/book chapters. Other (non-personal) study includes things like attendance at conferences, evening meetings, seminars and webinars. Conference attendance is often more difficult for nurses/techs than for vets, but ISFM has developed regular webinars aimed directly at nurses [see: ISFM Nurse and Technicians membership], which would count towards their CPD, and clinics can arrange their own in-house seminars and teaching for nurses and techs which would also count as CPD. Having a suitable in-clinic library of up to date books and journals for both vets and nurses is also an important part of providing CPD, and again the feline content should at least reflect the case-load of the clinic. ISFM provides a veterinary nurse/technician membership (free of charge) with a dedicated online journal (accessible to all members free of charge) [see: nurses/techs membership]. Additionally, Practice Membership of ISFM is required for clinics accrediting under the Cat Friendly Clinic programme [see: ISFM Practice Membership]. 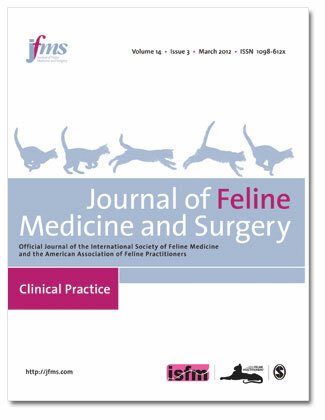 This is very cost effective as it includes a monthly subscription to the Journal of Feline Medicine and Surgery and access to the full JFMS back-catalogue, along with many other membership benefits (such as free monthly webinars). Both initial Cat Friendly Clinic accreditation and annual re-accreditation is provided free of charge. Good clinical governance involves efforts to continually improve patient services and outcomes. This is partly achieved through keeping up to date with clinical developments (see above), but should also involve critically assessing the outcome of patients and being able to discuss cases and treatment options with colleagues and peers. In a large clinic, this may be at least partly achieved by regular and formal discussions between veterinarians within the clinic, but this alone can be limiting. Having an opportunity to discuss cases with other colleagues (outside the clinic) is also important. All ISFM members have access to the ISFM Forum, which is a friendly on-line forum designed for exactly this purpose – colleagues can share problems, difficulties and solutions to clinical issues, and advice can be sought from other vets all over the world.